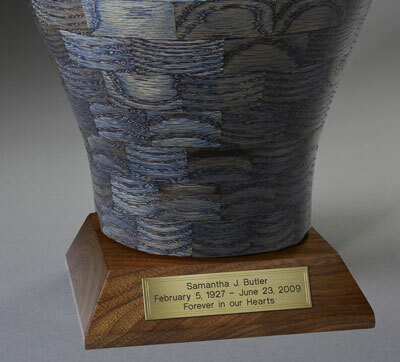 This breathtaking oak wood cremation urn has a calm and cooling stain finish reminiscent of flowing blue water. It is available in small, large, and keepsake sizes. 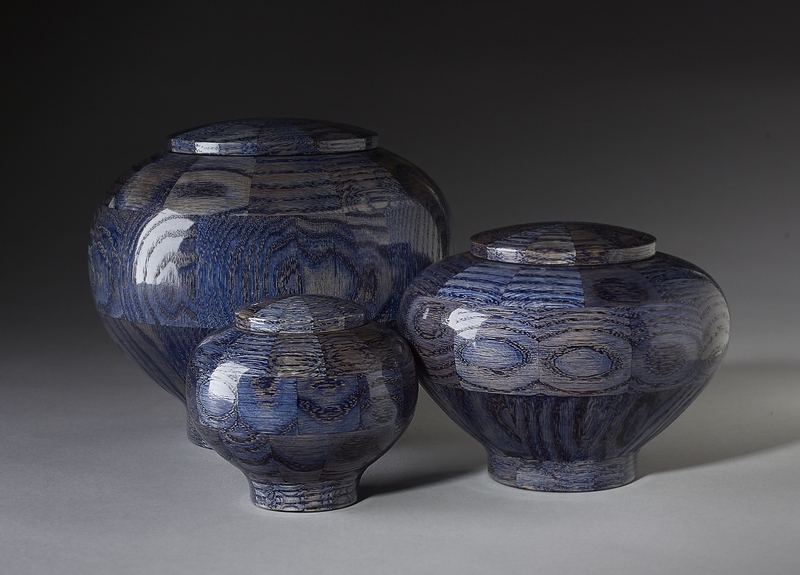 Hand crafted in the U.S. using various inlaid wood segments, turned, finished, and polished to perfection.